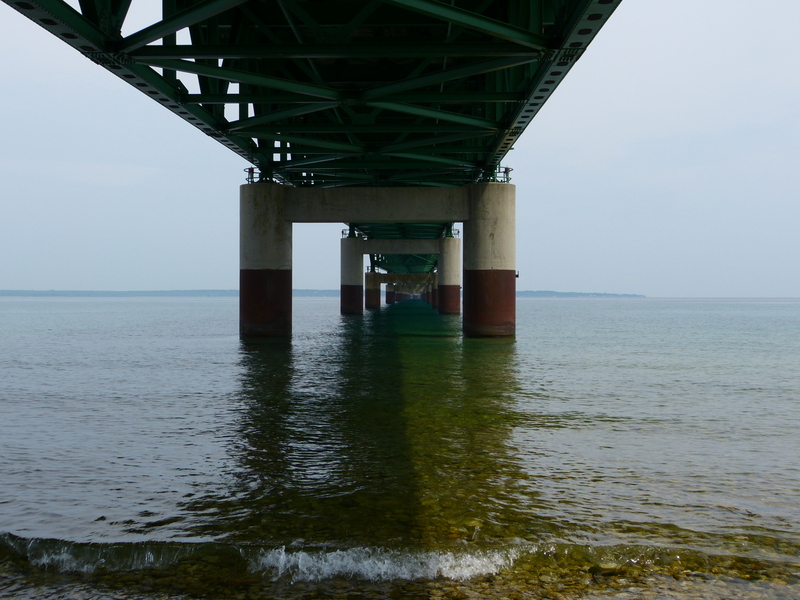 A look at the underside of the Mackinac Bridge. 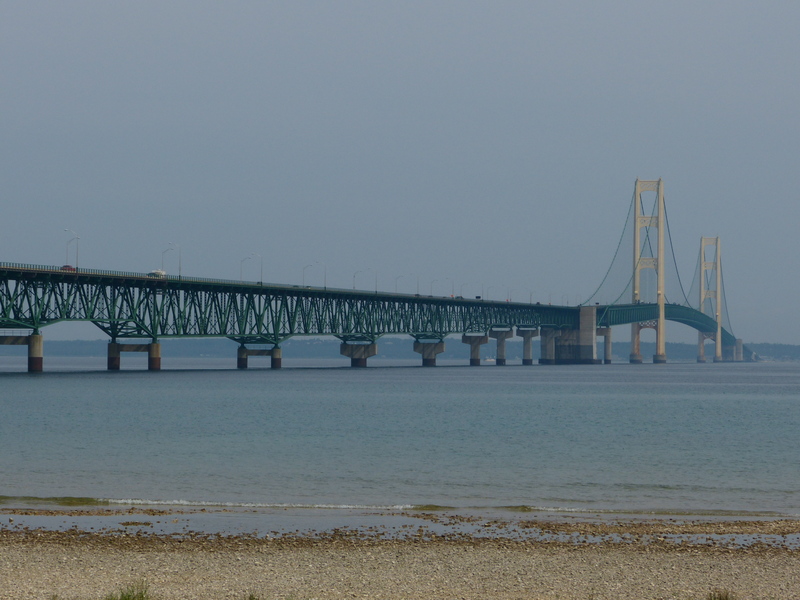 We woke up early on July 17th intent on crossing the Mackinaw Bridge before the wind kicked up. As it turned out, we started across the bridge at 6:00 a.m. but still had high wind warnings and needed to drive at no more than 20 miles per hour across the lengthy bridge. After crossing the bridge, we traveled along the north coast of Lake Michigan, on Route 2. 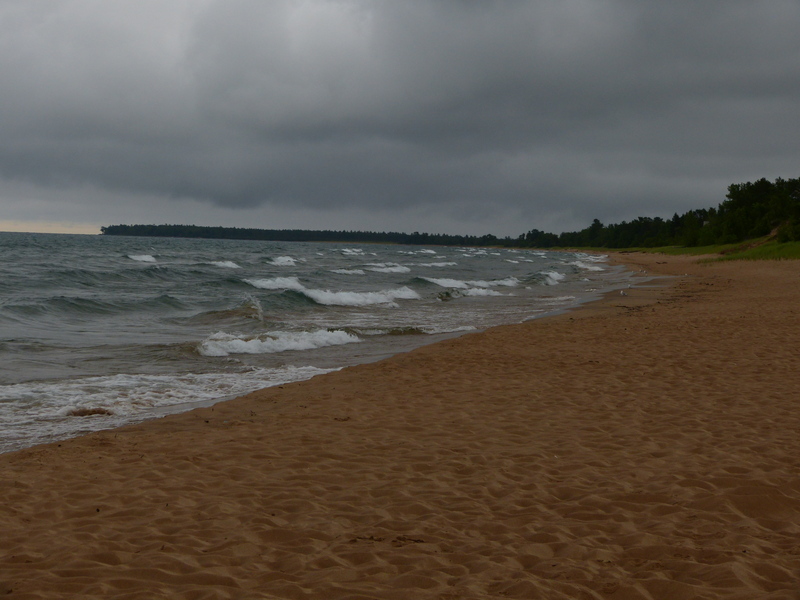 We were surprised to find that Lake Michigan’s north shore was virtually without any beach goers mid week. 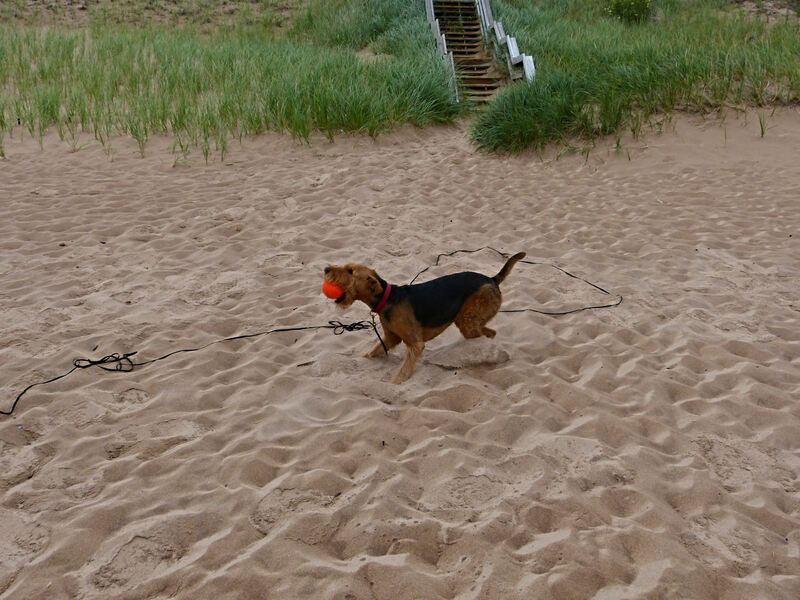 As we began to drive around Lake Superior, we stopped at a deserted beach to let WB frolic in the sand and the surf. He loved being able to dig in the sand and started doing his crazy eights, running at top speed. WB frolics in the sand on the shore of Lake Superior. 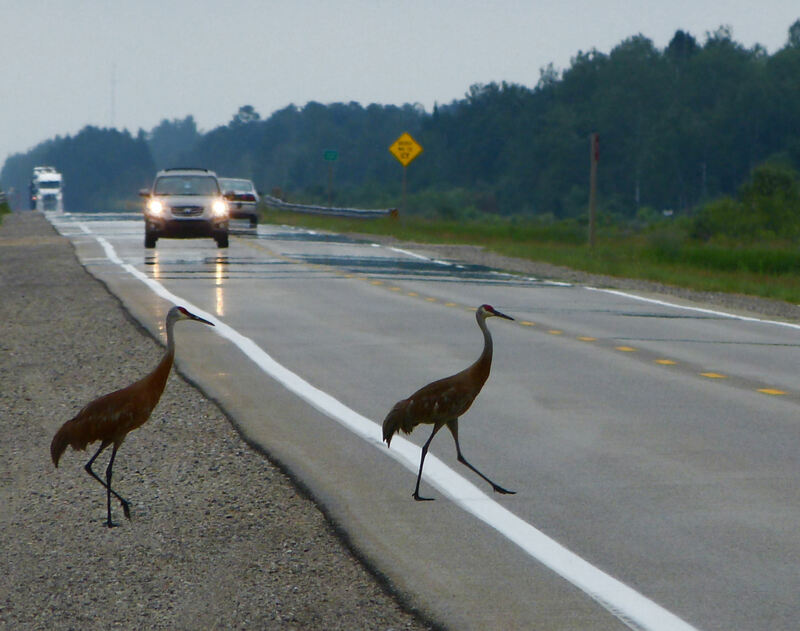 This entry was posted in camping, Michigan on June 16, 2013 by Ramblin' Rose. That bridge is so pretty!